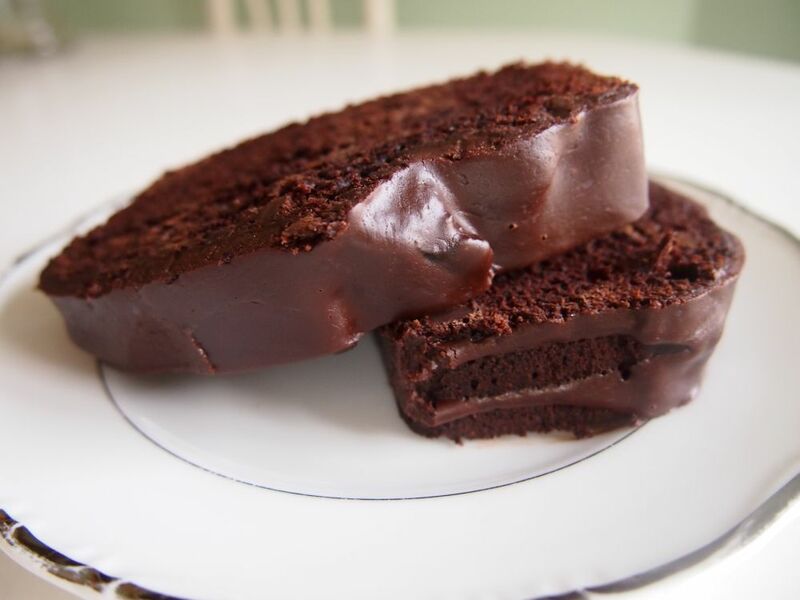 I remember a few weeks ago trying to describe to someone this vegan chocolate cake from some bakery in Toronto that I had a few years ago. It was so good, but extra good when you put it in the microwave for just a few seconds before eating it. I barely remember what it actually was like but I had this idea in my head and wanted to make something that would be sort of similar. I remembered it having some banana taste. Makes sense, since bananas are a suitable replacement for eggs in some things. So I just gizoogled chocolate banana cake, but wasn’t thrilled with any results. I chose something at random and made it. It was good. It’s super rich and soft and yummy and chocolatey and banana-y and omnomnom good. I made a ganache to go on top, but I realized I actually didn’t have any almond milk left so I made my ganache out of chocolate, milk, and butter. Tasty. Preheat your lovely oven to 350F and line a 9×5″ greased loaf pan with parchment. Whisk together the flour, cocoa powder, salt, and baking soda in a bowl. Whip the sugar and banana until thick and creamy. Drizzle in the oil until all incorporated. Dump in all the dry ingredients, and mix on low speed while pouring in the coffee. Mix in the optional things and pour into the prepared pan. Bake that beast for about 45-50 minutes, until a toothpick inserted into the middle comes out clean. Ohhh yeah, look at that ganache. Yum. 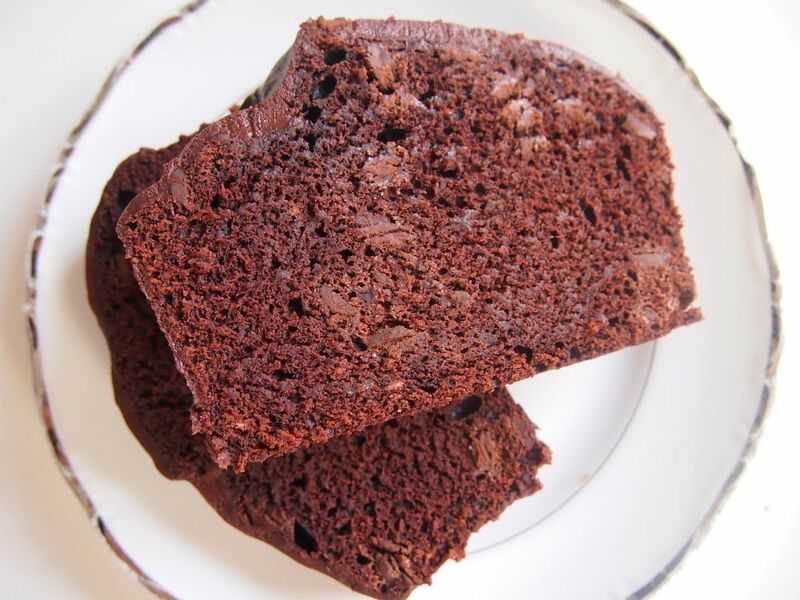 This entry was posted in Cake, Delicious things I think are pretty delicious, Loaf and tagged baking, banana, banana loaf, chocolate, chocolate banana, chocolate banana loaf, chocolate loaf, ganache, loaf, vegan baking, vegan chocolate loaf. Bookmark the permalink. This looks soo good! Love the addition of walnuts and the ganache looks so tasty! !